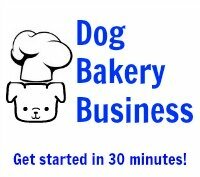 DogTreatIcing.com was originally created as a commitment to teaching about how to make dog treats in a fun, easy-to-learn environment. 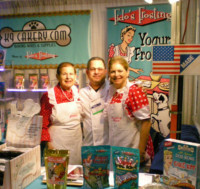 The founder and CEO of K9Cakery.com, the world's largest online site for dog bakery supplies, created the first, all natural dog treat icing that did not melt, dried hard, and did not need refrigeration, called Fido's Frosting. Prior to the creation of Fido's Frosting, professional pet bakeries were using candy melts for decoration. Consisting primarily of fat and sugar, the icing from the candy melts would "melt" in warm temperatures. Bakeries would shut down during the summer months because they did not want to sell a gooey product. With the availability of the award-winning Fido's Frosting, the problem was solved. Bakeries were able to stay open year-round. Bakers began to call him "The Frosting Guy" and told him he changed the way they were able to do business. The Fido's Frosting brand now offers Magifrost, a dairy-free dog treat icing created in response to demand for such a product. Many dogs are lactose-intolerant. This icing product also dries hard and does not melt. It dries a very shiny white and makes treat decoration easy and fun. As an innovator, he is constantly creating and offering new products for pets and introduced numerous new products and designs into the marketplace. Many have won product innovation awards. He created K9Cakery.com in response to demand for innovative and well-made products that served the specific needs of pet owners. He has become an e-commerce expert in the process and helps others get their own e-commerce businesses off the ground. 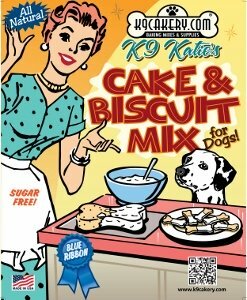 K9Cakery.com is family-owned business but professional dog chefs and dog treat experts on hand to provide up-to-date information and creative recipes to share with readers. The K9Cakery.com brand portrays the fun side of baking for dogs. The products are easy and simple to use. All ingredients are human grade, and all food products are made in the USA. The retro packaging design is fun and engaging, and makes the point that the products are fun and easy to use. Learn about new products by signing up for the newsletter and/or following the YouTube channels: FrostingFran and TheFrostingGuy. Wishing you hours of Happy Baking!